"A start job is running for Hold until boot process finishes up (20min 00s / no limit)"
And it just sits there endlessly, not booting. During the process before it starts hanging, I get a FAILED notification while the screen is scrolling through the boot process-or whatever it scrolls through while booting. 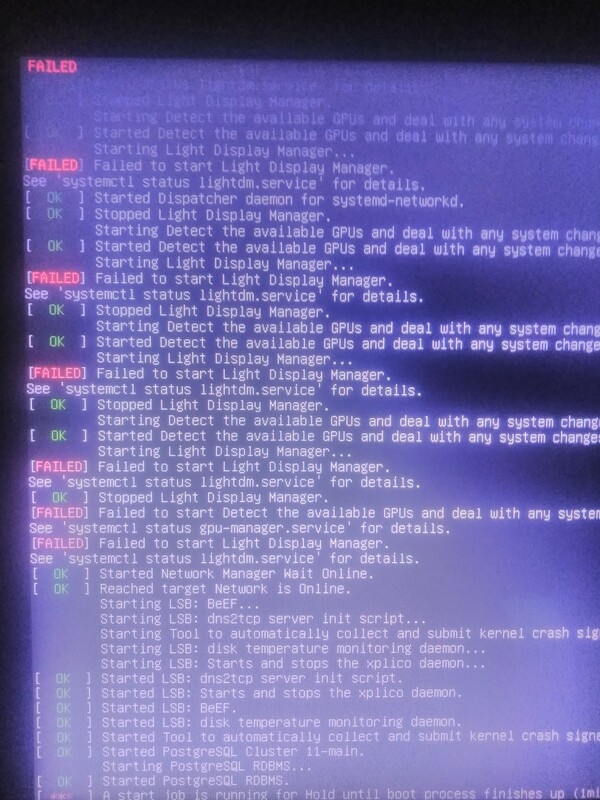 It says "Failed to start Light Display Manager." Has anyone else had this problem? Do you know how to fix it? Browse other questions tagged systemd dual-boot startup lightdm or ask your own question. How to install Windows 8 after arch? Can't solve grub rescue problem?